I didn't get it wrong, from those 28 teams I took out the 11 teams that are part of a continental confederation but not FIFA (like Zanzibar, who is a member of CAF but not FIFA). I think those need to go first before the completely unnafiliated teams like Palau, Vatican City, etc. So, you'd have 28-11=17 slots for non FIFA and non affiliated teams, or 20 if you use Juventus and the classic teams. You can still have 18 slots if you leave Juventus and Real Madrid untouched for example, but you can use them as well of course. 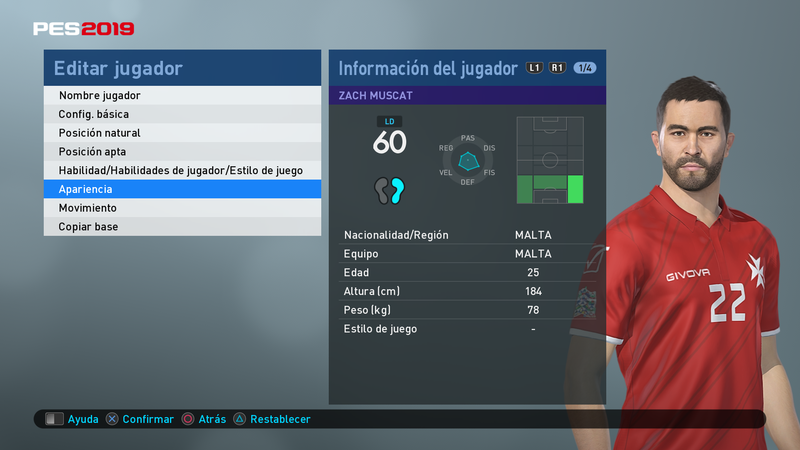 If we could convert it from PES 2017 it would be even better and faster to do, since we could use all this work in here. I'll be following your work. I was also doing a spreadsheet with a possible organization of the teams, just to see how it would be possible to fit them all in PES 2019 leagues. I'll share it soon if you or Speckkopf want to take a look. Here's a spreadsheet I did of a possible organization of this project in PES 2019, using all the avaiable team slots, including Juventus, Real Madrid, etc. As you see, it is possible to have all the FIFA teams and still a bunch of non-FIFA teams, but you have to use every single slot in the game. It's not a big problem since you won't be playing national team vs club team so you can have this in a separate account and keep your club teams in another account. hey guys, thanks for your effort! I did check the amazon account of my wife (normally i'm not allowed to do that before christmas ) and i saw that i will get PES 2019 as a christmas present. So yes, we'll do it, when i think about some people already working on it it shouldn't be much work for me. And until that i can finish it on PES 2017 also. all the players causing trouble are duplicates of players which are ingame original. I had to take them because i need every fake player and much more for that project. Other players like austrian R.Almer is retired for example, so i also took that one. Best way should be FIRST importing all ingame teams and after that importing the rest. I work hard on upload everything very soon so it all fits together! another thing would be interesting for me: you think it's possible getting in all kits when i use national teams on one account and club teams/leagues on the other? Would also be cool to use them because of the many new leagues. 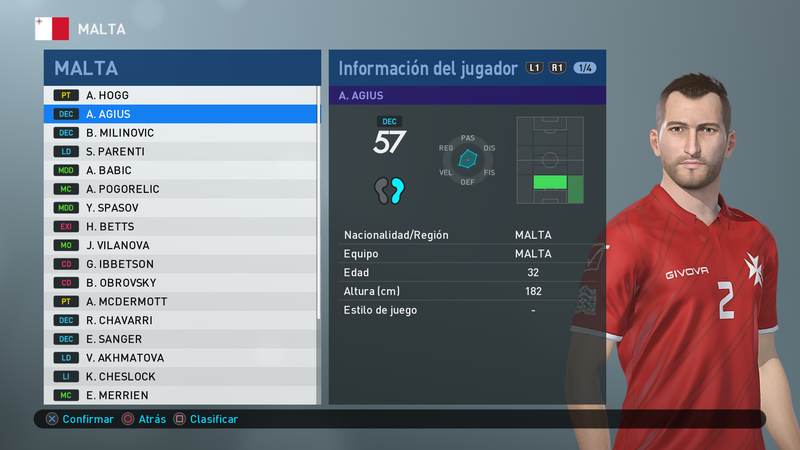 So, you are saying that, after you finish your project in PES 2017 you will start doing the same in PES 2019? Unfortunately, I don't think it is possible to have 2 OF's at the same time in this game. I did the math for the national teams (my spreadsheet is here: https://drive.google.com/open?id=1uh...4QjDL-CZgRMm4-) and it seems like we have 161 editable slots. This means if we only use 3 kits (home, away, gk) we'll use 483 slots for these national teams project. Then, we have to use another 483 slots for the club teams as well. This makes a total of 966 kits. Then we have the in game national teams, which are 81. I don't know how many are licensed, but perhaps we have around 65-70 unlicensed national teams. This means we'd need 195-210 slots for those in game national teams. These can be shared between the national team OF and the club team OF. So, overall, just for the main kits, we'd need 1161-1176 slots. And we'd still have to get all the logos (322) and some third kits. I guess that there are only a way to do that: Name all the kit and logo files like "PEU01_home", "PEU01_away", "PEU02_home", "logo_PEU01" etc. for both OF's. This way, when you want to play with club teams, you import kits and logos of club teams, and when you want national teams, import the national teams kits and flags. The only downside is that it takes a while to import all the images but it's still possible to do. I think this is what @ggdaris did in PES 2017. Great, amazing team to go quick with this project ! I'll buy it on another sale. I wanted to get it for 10-15€ or so. I know it is possible in a few months because PES 2018 was even cheaper than that at one point. however... first i finish in PES 2017. When i finished that and i have PES 2019 i can join making it on PES 2019, then just tell me which teams i should do, no problem. If more people work on that and already have started, i don't have to do so much like in 2017 so it could be a quick thing. 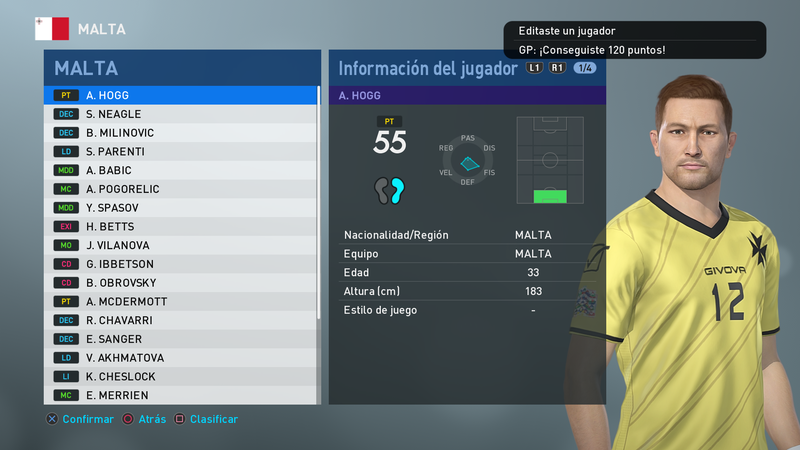 Also, there's a lot of stuff you can reuse from PES 2017, like stats and kits It will definitely be faster than in PES 2017. And sorry for asking again, but there's any progress on new teams? Can i have ur facebook or email?